Emilie McBride, certified vegetarian chef, offers “energy cuisine” in her meal boxes that are accompanied by fresh and unpasteurized cold-pressed juices that she delivers directly to the hotel. 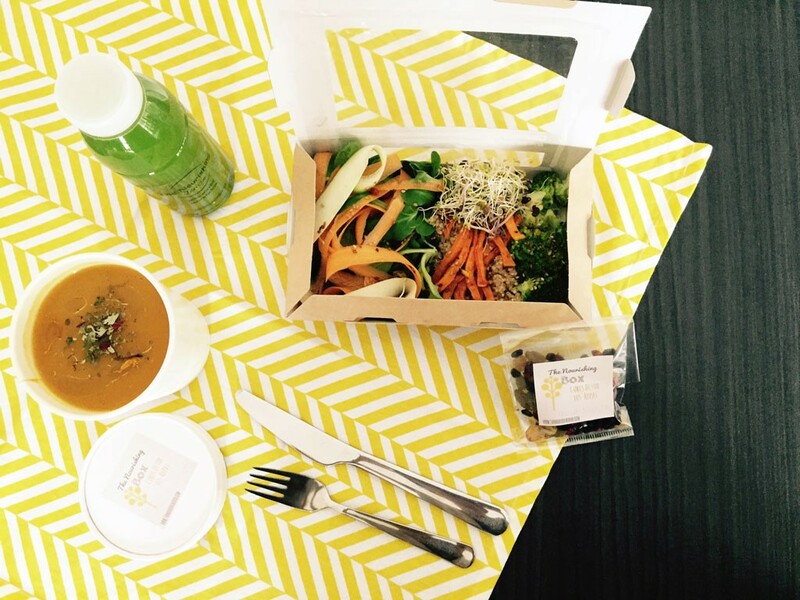 The box includes: 1 starter or 1 soup + 1 main course + 1 juice or smoothie (330ml). Pineapple, fennel, cucumber, cabbage, kale and ginger juice. Drink 1/2 squeezed lemon juice in hot water, first thing in the morning, before eating anything else. Lemons are an alkaline food and neutralize acidity (caused by foods such as alcohol, dairy products, meats…). It will also help your liver flush out toxins. Eat a vegetable-based meal between two festive feasts. Go for light broths, steam-cooked vegetables, gluten-free cereals (quinoa, millet). Move and sweat, this is a great way to get rid of your toxins! For an extra push in the right direction try a detox plan for 1, 2, 3, 4 or 5 days… Your body will be happy you did! > 1-night Detox Break in a ‘Student’ standard room for 2 people with 1 detox meal box each: 57€ / person. > 3 days / 2 nights Detox Break in a ‘Student’ standard room with a 2-day juice detox plan and 1 day post-cleanse meal plan: 189€ / person. Bonus: a professional draining and detoxifying massage by mes Sœurs (80€ / 50 mins). This offer is subject to availability. Booking is required at least 48 hours before arrival. For further information, please contact hotel reception directly by calling +33 (0) 559 260 839.